AMSTERDAM, September 3, 2018 – Less than a week after snatching up IHeartRadio’s MMVA (Much Music Video Awards) for ‘Best Song Of The Summer’ with their ludicrously successful single ‘Body’, Loud Luxury have set their sights on even greater things. 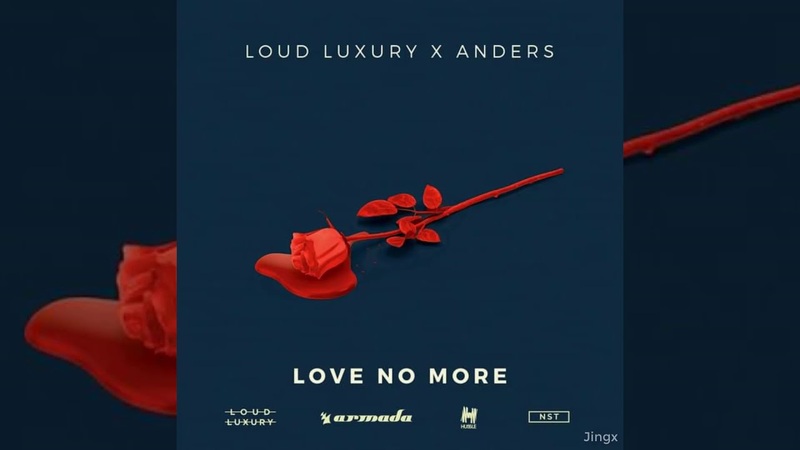 Off the back of hundreds of millions of streams and immense chart success for the aforementioned mega hit, the Canadian duo up the ante with another one of their super-catchy singles: ‘Love No More’, made in collaboration with talented, Toronto-based singer-songwriter anders. It’s been – and still is – one hell of a journey for Loud Luxury and their international hit song ‘Body’ (feat. brando). Since its release on Armada Music late 2017, the single sold seven times platinum in Canada, hit #1 in the U.S. Mediabase Dance Airplay chart and #20 in the Global Spotify charts, won the MMVA award for ‘Best Song Of The Summer’ and racked up around 300 million streams across the most popular streaming platforms. Currently holding #5 in the U.K. Singles chart, the song just keeps on gaining popularity worldwide and is expected to reach even more wonderful milestones in the coming months. ‘Love No More’ will follow hot on the heels of ‘Body’ and may just prove the next masterstroke move from the Canadian duo. Sharing the Canadian roots with the boys from Loud Luxury, anders is on a superstar trajectory magnified by lead single support from Instagram sensation Bellha Hadid and a huge debut show that sold 1200 hard tickets. Through his contribution to ‘Love No More’, the young, self-made recording artist and NST label/collective boss heralds the merger of the R&B/Hip-hop world and the electronic music realm, and shows that he has quite the arsenal of tricks up his sleeve to further accelerate his rise to stardom.